Our supporters make a difference! We know how lucky we are to have your support at all of our events throughout the year. Each month, we budget $6,500 to direct Veteran services. We take this into consideration with each and every request received. We look at not just how our help will benefit the veteran, but we also constantly ask ourselves if we are being good stewards of the money our supporters have pledged to us? It is a responsibility that the Board members take seriously. 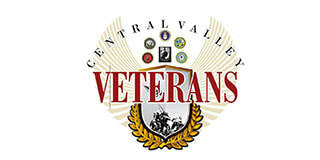 During the month of February, Central Valley Veterans received over 25 requests for assistance with immediate needs. It is easy to want to help every person, specially as our Board Members dig deeper to the root of a problem a veteran is facing. Our Board Members look for multiple things when looking at a request. Sometimes, we can be a bridge connecting a veteran with other resources in our community that can better their situation. Last month, 3 veterans requested help with “Bed Bugs” in their apartments. They live in the same complex and were given furniture when they moved into. Sadly, the soft fabric contained bed bugs. There is a treatment for the problem, but it came at a hefty price of $1,000 per apartment. The landlord was willing to negotiate with the veterans and came up with a payment plan that would fit their budgets. CVV paid 2 months per veteran to get them started on their new budgets. Frequently requested is Emergency Housing and Rental Assistance. Last month we helped 2 veterans with emergency stays in a hotel for a total of 3 nights. We also were able to help 3 veterans with rental payments so they could remain in their housing. Utilities are the second most requested item. Last month we were able to help 3 veterans become current with their PG&E bills and 1 veteran receive a delivery of propane. Transportation is also key for our veterans. It allows them to maintain stable employment and housing. This allows them to be self-sufficient and meet their needs. We receive requests each month for assistance with car repairs, DMV registration and gas. This month we had a veteran that was living in his car and his registration was past due. He was also in the process of acquiring housing and didn’t have the extra funds to meet both needs. We helped him with the Past Due DMV tags so he could continue his efforts for housing. We assisted another veteran with sole custody of 2 young children. The Veteran needed assistance with paying his deductible for his car. He had been involved in a car accident and couldn’t afford the deductible payment of $500.00 to get his car back in running condition. As the month continued, we were also able to help a veteran who could do his own car repairs but needed assistance in buying the parts. Additionally, another veteran had his car vandalized and needed to get the broken window repaired. Another huge need is the basic needs that we might take for granted in our lives, such as food. Last month we filled 5 veterans requests for emergency food. Central Valley Veterans Board members contribute to this segment.